Montgomery wrote the novel in the twilight of the day, sitting at her window and overlooking the fields of Cavendish. Since publication, Anne of Green Gables has sold more than 50 million copies. I see that virtually all of the reviews of this book are (understandably) from women. I, on the other hand, am a 68 year old, male, retired academic & scientist who typically reads sci fi & fantasy these days. 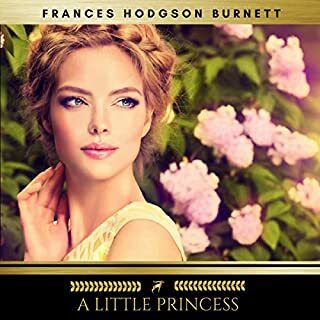 I bought this audiobook because a) we'll soon be going on a cruise to Prince Edward Island (the setting of the story) and b) Audiobooks was offering it for 95 cents. I expected to hate it. The language, particularly of the heroine, is flowery & archaic and the character of Anne is loquacious to the point being manic. I fully expected to want to strangle her by chapter 3. Much to my surprise, I loved this book. The author & narrator are equally responsible for my enjoyment. I can't imagine anyone doing Anne better than Mary Sarah. I'm still not certain why I loved it so much but I did. Maybe it's the fact that the writing is so much better & more interesting than in most of the sci fi & fantasy I've been reading. Maybe it's the use of words with which I was unfamiliar (or which I hear only infrequently) because I love words & pride myself on my vocabulary. Maybe it's the simple coming of age story set in a quaint past in a culture that may or may not have ever really existed. Whatever the reason, I loved it and have already bought volume 2. For another 95 cents, how could I not? This has to be one of the best bargains I've ever found on Audible. I was searching around for a low stress summer listen and came upon this beauty for just 95 cents! I usually shy away from reading books written for children--but in this case I am really glad I overlooked the genre. The narration was excellent and the story was sweetly engaging. Somehow I missed out on reading this series as a child. Better late than never. It was great. Not just for 8 - 10 year old kids! I'm a 74 year old male who loves this beautiful book. Author L. M. (Lucy Maud) Montgomery released Anne of Green Gables in 1908 but it is as fresh and relevant today as it was 109 years ago. Twelve year old Anne Shirley is an scrawny red haired orphan on Prince Edward Island (Canada) when she is sent to Green Gables when the owners requested a boy to help with the farm work. After much consternation the owners decided to keep the trouble prone and very talkative girl. This novel covers a bit over 4 years of Anne's life. There are several other novels in the series. Do not be misled by Audible's &quot;kids&quot; designation; this is a novel that will be enjoyed by all people regardless of age or gender. The narration is superb. 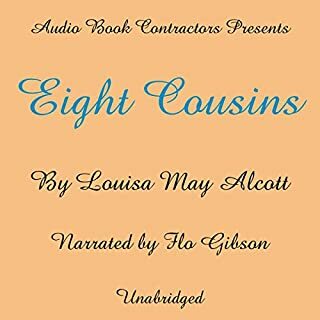 Audible charges members $0.95 for this novel which provides 9.5 hours of great entertainment. If you could sum up Anne of Green Gables in three words, what would they be? I loved hearing the old fashioned sayings the characters use. I also love that each character has their own little catchphrases that the narrator highlights perfectly. But of course, I love Anne! She captivates the characters if the book, as well as the reader. She gets into great micpschief but always has the best additude. I have listened to this more than once! Have you listened to any of Mary Sarah’s other performances before? How does this one compare? This was my first Mary Sarah narration. I am hooked, she was great. I am sorry that she does not narrate the whole series. 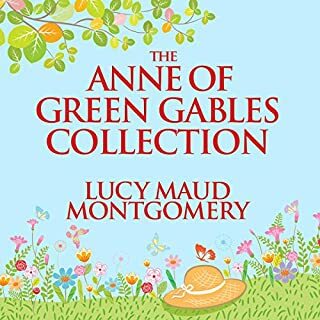 I sampled other narrators for the Anne of Green Gables series, and Mary is the best! Perfect cadence and emphasis on the right words. I can't imangine enjoying the story as much with out her. She brings Anne's rants to life! Yes I did laugh! You never know what will come out of Anne's mouth! And Mrs. Lynd says equally ridiculous things although they are not so kind. 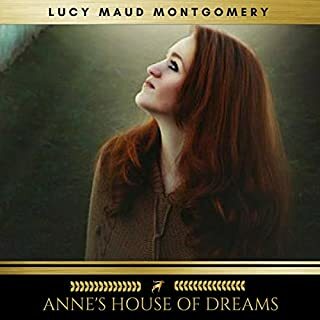 This story and narration by Mary Sarah has become like Linus' blanket for me and I love to listen to it anytime I want to relax and escape to Avonlea. Well worth the listen... Every time. I'm always amazed at the goodness and the self reflection that I get out of this book. 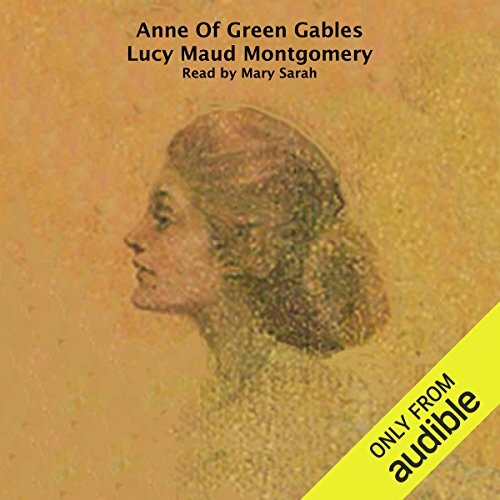 Of course Anne of Green Gables is a fantastic classic, but the delivery of this audio version is such a disappointment. Reader is way too cute and glib and all wrong for such passionate, fiery personalities such as Anne and Marilla. I can't think why it has taken me so long to revisit this wonderful story. I must have read it at least 4 or 5 times in my early teen years. Listening to it now after so many years was like being reunited with old, dear friends. The story is excellent, as is the narration. It's most rewarding to follow Anne's development, from awkward and unwanted orphan to fine young lady and scholar. Though certainly distinct stories, there are parallels between this book and another fine favorite, A Tree Grows In Brooklyn. Highly recommended if you like to observe the positive growth and development of endearing characters. Reading this book would not have been as enjoyable as listening to the narrator capture the spirit of Anne. Loved it and the narration too. What did you like most about Anne of Green Gables? The whole book is just so uplifting, the character Anne is a bundle of joy, throwing herself fully into everything in her life whether it be happiness or despair. 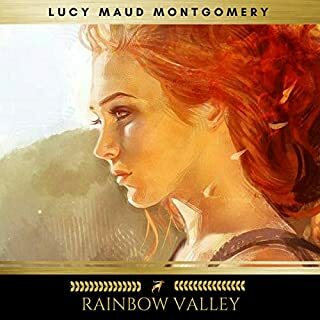 Would you be willing to try another book from Lucy Maude Montgomery? Why or why not? Yes, I really enjoyed this writing, even though the main character is a young girl who uses lots of big words and sometimes sounds so grown-up, it also feels so real. Have you listened to any of Mary Sarah’s other performances? How does this one compare? No I haven't, at first I wasn't sure about the narrator but I guess I learned to love her along with the character and have already bought the next in the series, checking that it was Mary Sarah again. All of Anne's adventures were so uplifting and really made you appreciate things that little bit more. If I every feel down, I know that giving this book a listen will make me feel happy again. This is a classic that I felt I really should catch-up on and I'm so glad that I did, it is not just a book for children! I somehow managed to miss out on some of the essential reads of childhood and so I am trying to make up for it. I loved every minute of this gentle, beautifully read tale and I will be revisiting it. What made the experience of listening to Anne of Green Gables the most enjoyable? I loved the narrator and her clear pronunciation of words. She put expression and tone into the reading and seemed to sympathise with Anne. What other book might you compare Anne of Green Gables to, and why? Traditional classics of that era where there are morals to be learned throughout the book. What about Mary Sarah’s performance did you like? Style of reading, clear diction, good orator. The pairings of this wonderful book and this narrator is such a perfect match indeed. I have 2 books narrated by Mary Sarah and though she's not bad her phrasing is sometimes odd. I bought this book as it was cheap and I loved it as a child - I still have the complete 'real' collection!- and did enjoy it. Narrator is boring, the story is boring, but it all depends what you want. It's great if u want something to put you to sleep! I sould have read this years ago! I really should have got round to reading this years ago. just listened with my 10 year old and we both laughed and cried. wonderful story! The kind of book that makes you feel warm and fuzzy inside. Also I love the narrator! 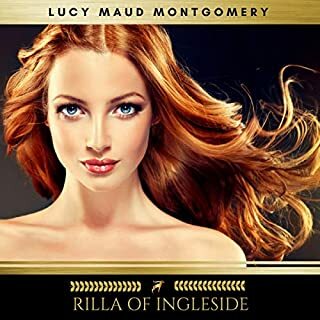 Mary Sarah is a wonderful narrator and is well suited to this book. She reads each character beautifully and each a unique voice. I got lost in this book and was sad to hear the end of it. Onto book two! I'll be sad to get to the end of that one as that's the last Anne book Mary Sarah has narrated. I liked the way Anne uses big words ang talks a lot and that the presenter had a voice like Anne's. Always a classic, kids loved it!! Well read book! Only a few errors with words, but a truly magical story!! Most young girls enjoy the tales, my daughter had many life to text connections!!! I have always loved Anne of Green Gables, but my enjoyment of this audiobook was hindered by the limitations of the reader. Mary Sarah has a lovely voice and good pacing, but she makes far too many mistakes. A number of words are mispronounced, and there are some strange mis-readings of one word for another. ('Black' instead of 'back', 'to' instead of 'so', 'quality' for 'guilty' and others.) Overall, glad I didn't pay full price. The narration takes a while to get used to...her voice does not flow naturally. Apart from that, this book is and always has been a treasure.